Being able to show your product off while storing it in a gorgeous tin is a winning combination! 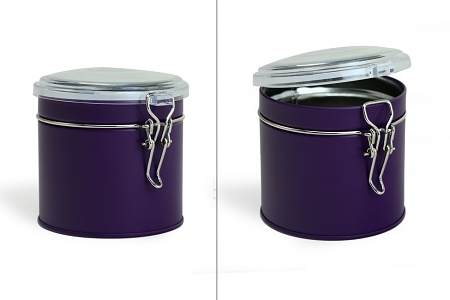 Check out our newest tins with latch locks that have a window, we offer them in a WIDE VARIETY of colors. This tin comes with an easy-to-use latch and an air-tight rubber seal. This container is the perfect packaging solution for your tea, coffee, nuts, dry products or anything that you pack that you want to show off! These tins attract customers and we offer them at an attractive price. Please note all listed sizes are only estimates based on the density of roasted coffee beans. Sizes listed may not necessarily match to fit other products. 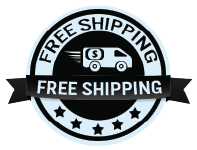 Please feel free to request a sample to ensure the best fit for your product today! I bought 5 different colours to try. A fun addition for gifting Tea. I like the simplicity of the latch and being able to see the Tea inside! These little canisters are great, perfect size, fun colors... I love them. Product is just what I expected. Had to follow up with shipping but as soon as I called it was shipped. Will be ordering again.